There are words your parents say to you as a child that stay with you forever for better or for worse. I remember walking one night with my dad. We often took walks together when I was in high school. It was dark and sticky. And I can’t recall the reason for my emotions, but I was upset and crying. “Get a backbone,” he instructed roughly. No gentle words rolled from his lips to soften my pain nor questions to attempt understanding my tears. Of course I was offended. His bark came with a bite. My dad never was one for much emotion. He hated weaknesses, but even though his words seemed cruel that sticky, summer night, they have been used for good. I prayed not to let my emotions rule me. I prayed for a backbone. But I haven’t. Because I know how those words hurt. After three decades of living, from the ecstasy of falling in love with Prince Charming (who is really very human like I am) to the joy of children birthed into this world, to lonely, seemingly purposeless days, to heartache and grief of the loss of my favorite and only sister on the planet…after all that living I’ve learned that I need something or someone bigger and stronger and greater than me because my backbone is made up of human DNA and is prone to pride and self-pity. And I know that the self-pity pit can be pretty comfortable despite the slime. The first three verses of Psalm 40 are beautiful, hopeful, strengthening, full of promise. They promise the faithfulness of God to pull us out of our slimy-pits. Jesus taught the parable about the man who built his house on a rock and the man who foolishly built his house on sand. Those words seem clear. But “gave me a firm place to stand” means more than not sinking. The Hebrew counterpart translated as “firm” is Kun. “…Denotes bringing something into existence. Signifies initial preparation or formation, actual preparation for a future event, such as a meal or a military campaign; spiritual preparation….Kun also signifies the deep satisfaction and sense of well-being which comes from the certainty that one’s heart steadfastly trusts in the Lord, who directs man’s paths.” (Key-Word, NIV, p.1522). You might need to read the definition again. I see satisfaction and certainty. I see formation and preparation for something to come. Purpose beyond our dreams. But it all comes from calling out to God and putting trust in Him. What words spoken by a parent or someone you respected affected you for better or for worse? What do you think Jesus is preparing you for? I remember when I was about 19 and said something to my dad that backfired on me. His rebuke felt like a physical slap. The irony was that I said what I did in order to impress him. It did not:) However, I often remember how it felt and it reminds me to be kind and gentle when correcting my kids. Yep. You know exactly what I mean! But God has used those painful moments for good. Thank you Erika! Thanks Katherine! Yes, I think many earthly dads are like mine. And yes, praise our heavenly father for not only giving us a firm foundation but a purpose with it! Thanks for stopping by and leaving your encouraging comment. Kun also signifies the deep satisfaction and sense of well-being which comes from the certainty that one’s heart steadfastly trusts in the Lord, who directs man’s paths.” This last sentence reminds of something Bonnie told me a long time ago and I instantly understood it. She said that no matter how bad things ever got she always had this Fist of Feeling Good in her heart that came from God and she knew everything would be as it should be. 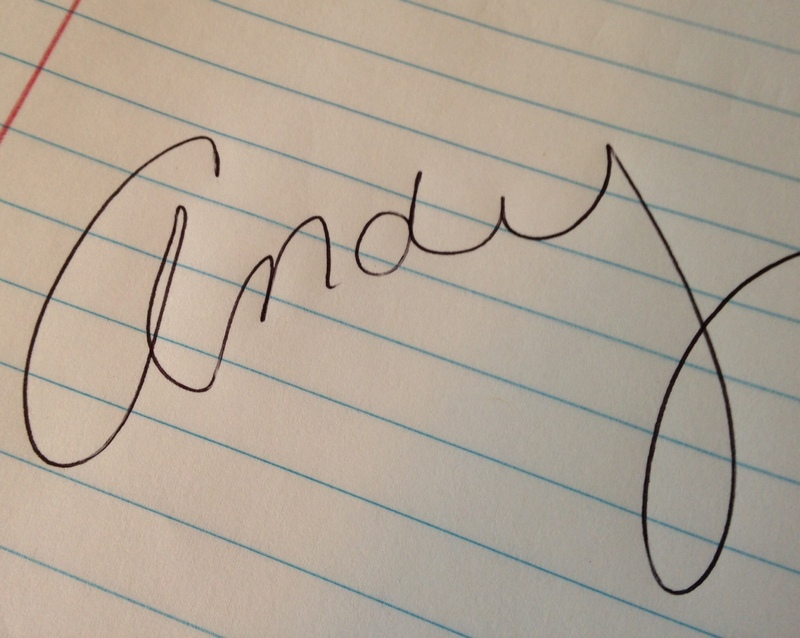 Thank you Bonnie B…..for those words of insight and to you Andy for all that you do to share God with us. mmmm…..Bonnie always had deep insight and great wisdom. Thanks for sharing, Yvette!